10+K Followers on YouTube! Thank You !! 10K+ followers!! 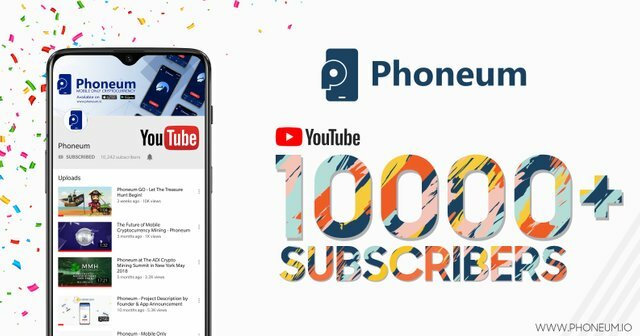 Way to go Phoneum! Can't believe we've actually reached this milestone. This post is a shout out to everyone who made this journey so incredible. Thanks to all of you for believing in us and for being at the heart of this great adventure. To all who have made getting here so exciting through the likes, comments, messages and shares. Big thank you to all 10K+ followers! !